Our Stash Stars kit features fabrics from the Floral Gatherings Line from Moda. Makes a Large Lap size (66X76). Includes 23 different colorful fat quarters for stars and varied backgrounds using the shirting prints. Binding and pattern also included. 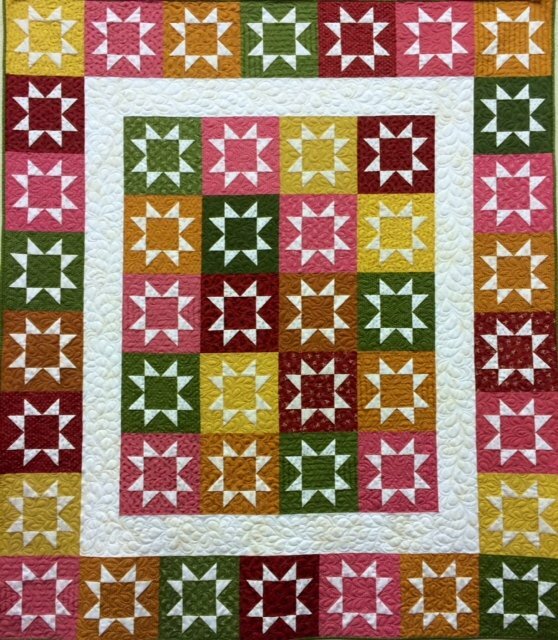 A fun quilt to make!